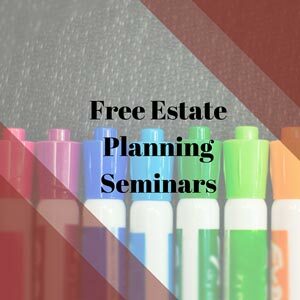 Free Estate Planning seminar schedule for March 2017 is now available! 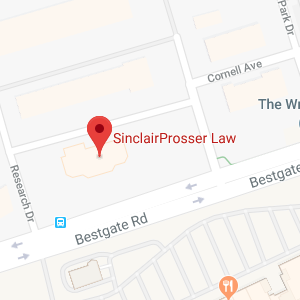 The seminar schedule for our Free Estate Planning March 2017 seminars has been posted at https://www.sinclairprosserlaw.com/seminars/ Once there you will be able to register for our seminar and download our Free Estate Planning Worksheet. There’s a lot that goes into setting up a comprehensive estate plan, but with our FREE worksheet, you’ll be one step closer to getting yourself and your family on the path to a secure and happy future. The presentation establishes the necessary components of an effective estate plan. It is delivered as a case study profiling the lives of Bill and Mary Jones. Several scenarios are used to relay the impact of estate planning issues relating to probate, disability due to incompetence, protection of government benefits for special needs loved ones, second marriages, unmarried couples, minimization of federal estate tax and preserving the family legacy. Wills, living trusts, powers of attorney and health care directives are all represented in the presentation, as well as long term care and Medicaid planning. At its conclusion, the audience will have a clear understanding of their estate planning options and be equipped to make the choices needed for themselves and their loved ones. A Free Consultation will be offered by the attorney conducting the presentation to discuss individual needs and circumstances. Lack of knowledge and procrastination play a big part in putting off what is important in making sure that your money, real estate, financial assets and values are protected and will go to who you want, when you want and managed by the person you want at the least cost. Taking control of yourself and your family’s future requires your time and effort now. Sign up for our Free Estate Seminars today. You can register online at https://www.sinclairprosserlaw.com/seminars/ and don’t forget to download the Free Estate Planning Worksheet to prepare yourself in setting up the most comprehensive estate plan for now and the generations to follow! FREE Estate Planning Seminars Next Week! Is Your Estate Protected? FREE Estate Planning Seminars Next Week!!! Have you reserved your seat?